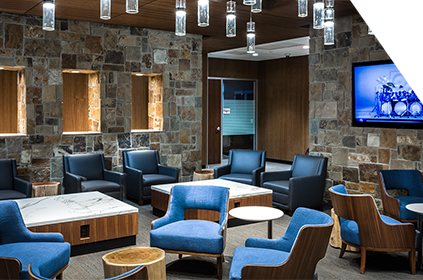 KWJ takes a holistic approach to architectural design. We like to conceptualize a project with the client creating a journey that leads to a finished idea we are both invested in. This creates design that is better for all. We start by using BIM modeling and visualization software so the client can see and be a part of the design process immediately. This saves time by getting the design on tract from the get go. The experience of Eric, Greg and Gary spans over 30 years times three. Our building knowledge is extensive. Gary Jacquette has been designing switching stations and data centers for most of his career. He has extensive knowledge producing roofing and waterproofing details and is often consulted by other firms in town when they need assistance. Kreher Barna Design Studio is a sister company to KWJ architects. Catherine Kreher and Jan Barna have been practicing interior design for over 30 years. Catherine is responsible for project management and takes an active role in projects especially during the construction documentation and construction phases of our projects. Catherine has developed expertise in project delivery with particular emphasis on developing cost effective solutions that maintain a high standard of quality design especially on interior renovation projects. Jan Barna is the President of KreherBarna Design Studio. Jan’s responsibilities include creating and maintaining client relationships through strategic planning to promote efficiency. Her primary focus is during the schematic design and design development phases of projects and is actively involved in establishing the overall design aesthetic including finishes and furniture selections. 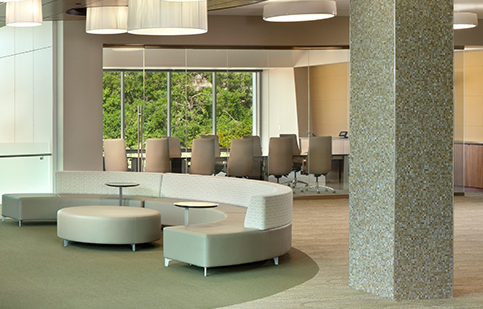 Our firm is well suited to provide master planning services. We have been planning the campus at The University of Tampa since 1995. We continue to update and modify the plan on a yearly basis. Queens College of Charlotte hired Eric Kreher to do a complete make over of their campus. 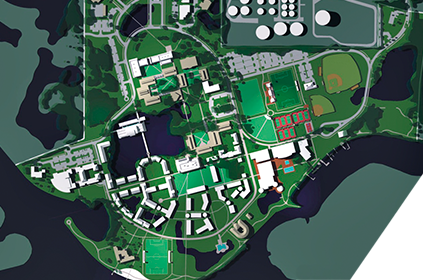 Also Eckerd College has used our services to modify their master plan. We are often asked to help determine the best use of a site and to produce conceptual design and imagery to sell an idea. These concept plans can build excitement to get a project off the ground by building community support and attracting investors. Visualization is a part of our design process and we do it simultaneously with the plans.